The most comfortable Wool Socks ever. Made from the finest quality Australian Merino Wool and knitted in the USA. Each pair is cushioned throughout and reinforced from heel to toe for maximum comfort and durability. Merino Wool is a natural moisture management fiber that wicks moisture and maintains cushion. Super soft merino wool provides natural comfort for all seasons. Smooth toe seam for super added comfort. Our yarn is of the highest quality backed by the People’s Promise guarantee; our commitment to stand behind the quality of People Socks and made in America. Wool has many properties that are very attractive to outdoor enthusiasts. 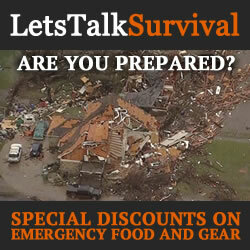 Even the military rely heavily on wool products, so when it comes to preppers and survivalists, wool products should obviously be considered. Why use wool you may ask? First and foremost, wool is a remarkable low-maintenance insulating material that has been used by humans for thousands of years in everything from clothing to insulation of dwellings. This is mostly due to its highly resilient hydrophobic and hygroscopic moisture-wicking fibers that provide excellent heat retention while remaining breathable, keeping you warm in cold weather and cool in warm weather. Wool fibers can, in fact, absorb as much as 1/3 of their own weight in moisture before feeling “wet”, so they are perfect for use during all four seasons. Merino sheep are a highly regarded breed known for having some of the finest wool of any sheep. In the late 1700s, Merino sheep, bred from the Royal Merino Flocks of Spain were introduced to Australia where Australian farmers further evolved the breed to produce a finer, softer wool now known as Australian Merino wool, highly sought after by high-quality textile manufacturers. The Below Zero brand is a mid-weight premium wool sock available in both quarter and crew lengths, made entirely in America by People Socks from high-quality materials. 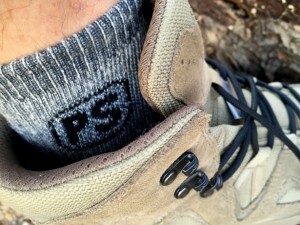 They consist of 71% Australian Merino wool, 21% Nylon, 7% Poly and 1% Spandex, uniquely blended to provide exceptional durability, anti-fungal wicking protection, itch-free comfort and compressive support over the lifetime of the socks. Wool fabric typically requires little maintenance. For example, wool socks do not necessarily need to be washed after each use. If they are left to air out, and spot cleaned as necessary, they can be worn a few times before needing to be washed. People Socks recommends machine washing their socks inside out with warm water, then air-drying to prevent shrinkage. Hand-washing in cold water in addition to air-drying will provide a longer lasting sock. The People Socks manufacturing process begins at their main facility in Brooklyn, New York where they design and continually monitor the production of their products throughout each step of the process checking quality along the way. Once they import the Australian Merino wool, it is shipped directly to their partner’s facility located in North Carolina where it is spun and converted into yarn. The yarn is then shipped to their manufacturing facility where the knitting process is performed. Once each of the open-toed socks are created, the toes are then closed and reinforced along with the heels. Next, they wash and dry each sock before boarding them into shape. The last step in the manufacturing process is to thoroughly inspect each sock for quality and durability, taking out random samplings for daily wear before each batch is packed and readied for final shipment. 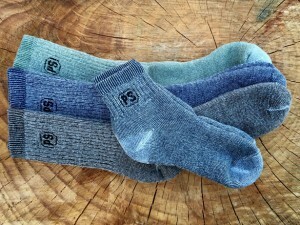 Each sock is backed by the People Socks Promise, “We’ll replace any of our socks with a hole. 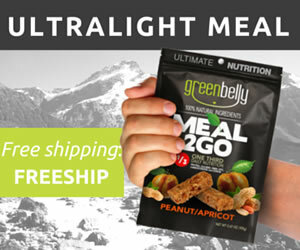 Just send us a message with your order-ID and we’ll take it from there.” However, there are some limitations to their guarantee that can be found on their website so be sure to check them out before you make a purchase. By keeping manufacturing costs down and selling direct to their customers through Amazon and their online web store, they are able to pass huge savings along to the customer. 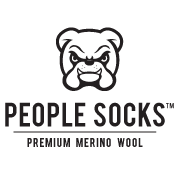 People Socks’ Below Zero Australian Merino wool socks are durable, supportive and extremely comfortable to wear. A lot like walking on foam cushions. They keep your feet cool and dry, even while walking around in the hot summer weather here in the Southern California desert. Over the last few months, I’ve had the opportunity to put nearly 100 miles on them, alternating between two pair. Surprisingly, after a few months of steady use, washing them in a washing machine and drying them in a tumble dryer after each use, the socks still look and feel like they’ve only been worn a few times. At a little less than $25 for four-pair of these high-quality Australian Merino wool socks, it is pretty obvious that you get quite a lot of bang for your buck with these socks. I think they are easily worth every penny. 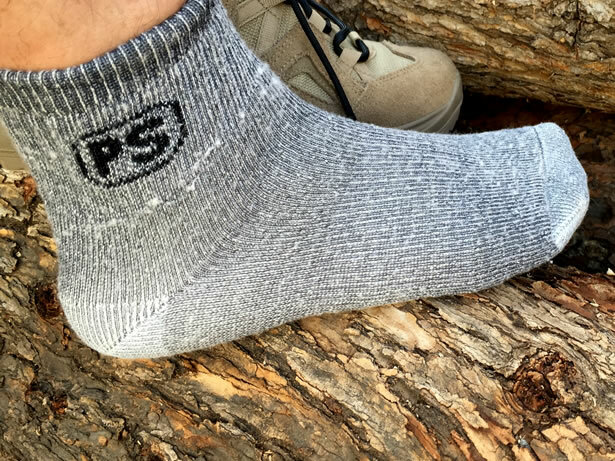 People Socks was born out of a need for warm feet at an affordable price. Their goal is simple really, to provide To provide the highest quality affordable Australian Merino wool socks knitted in the USA at an affordable price, not the hefty price tag associated with heavily branded socks. They sell online only and keep a tiny profit to grow, while their customers get to keep the savings and warm feet. It’s a win win.